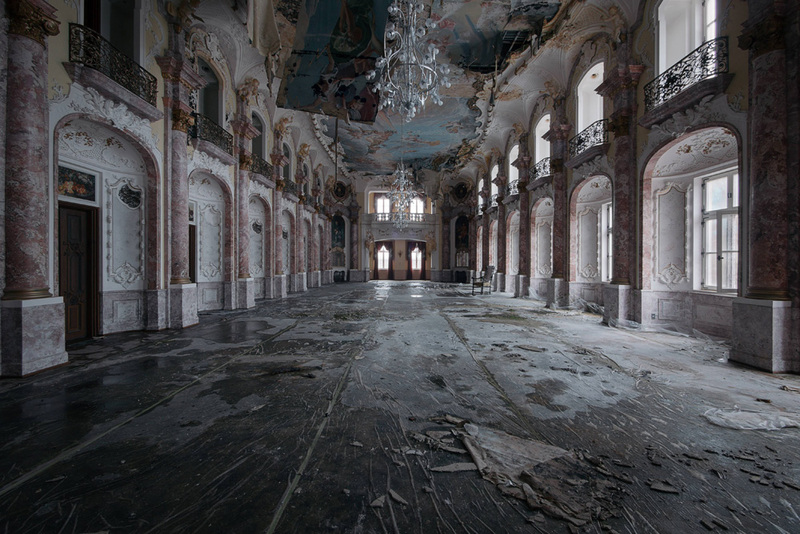 See the stunningly beautiful photos of abandoned places where time stands still. Abandoned Waterpark in Denmark. Tag a friend you would explore here with! Abandoned conservatory, from the Belle Époque, France | Photography by Quentin Chabrot. An abandoned house in the countryside. Photo by Kleiner Hobbit. Webster Wagner House. Abandoned home in Montgomery County, New York. Photo by Art Harvey. Abandoned village homes in Hungary shrouded in fog. Photo by Gabor Dvornik. Abandoned mansion in Missouri- tag a friend you would spend the weekend with here. Abandoned house in Portugal. Photo by Fábio Martins of @ue_photography. Would you spend a weekend here alone? Tag a person you would spent a weekend with. Haunted house on a hill, Bennington, Vermont. Photo by Odd World Photography. Abandoned Ouerbacker Mansion in Louisville Kentucky. Photo by @photomoephotos. Abandoned Beautiful building of the Romanian interwar style Brâncovenesc-revival (neoromânesc), with richly ornamented arches and balconies. Photo by @tudorcretu Check out his profile. Thanks for tagging us. An abandoned Mosque in Murshidabad, West Bengal, India. Photo by Partha Sarathi Bose. Old row boat in a dry and cracked river bed. Photo by Madam B.
Colimaçon Manor, France. Photo by @timster_1973. ---- tag the person you would spend a night with at this house. Would you? Gougi Island This fishing village (photographed by Jane Qing) on China's Yangtze River isn't your normal forgotten town — its lush buildings covered in ivy and greenery is surprisingly tranquil and striking. The Chinese website where they first surfaced called the area the "Wizard of Oz's dream." Mirror, mirror on the floor. Gorgeous photo by @matthias_haker. Vines creep through the skylight of an old chateau, long abandoned. Photo by @tekprod_photographies. Abandoned rollercoaster in Florida. Photo by @abandonedfl. Agatha Faversham's haunted mansion. Photo by @MGness. The now demolished Kowloon Walled City in Hong Kong. Freshly abandoned at the time this photo was taken. 33,000 people were crammed into 300 tightly packed, interconnected high-rises. Photo by Greg Girard. An old mossy castle that houses ducks and geese in Sintra, Portugal. Photo by James Mills. Operating room in an abandoned mental asylum | Washington D.C.